*Reminder: Consuming raw or undercooked meats, poultry, seafood, shellfish, or eggs may increase risk of foodborne illness. Are you planning a party or a function? Victor's Deli Catering services are perfect for any size party, function or special occasion. 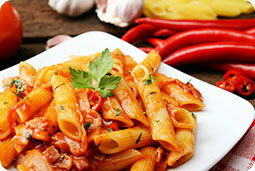 Victor's Deli has been serving homemade Italian dishes since 1982. Family owned and operated once Victor and Rosa opened the doors. The business has strived on Rosa's passion for cooking and recepe's that were passed on from her mother. If you want a great meal or catering experience come be a part of the Victor's Deli Family. Please download our Victor's Deli take out menu. 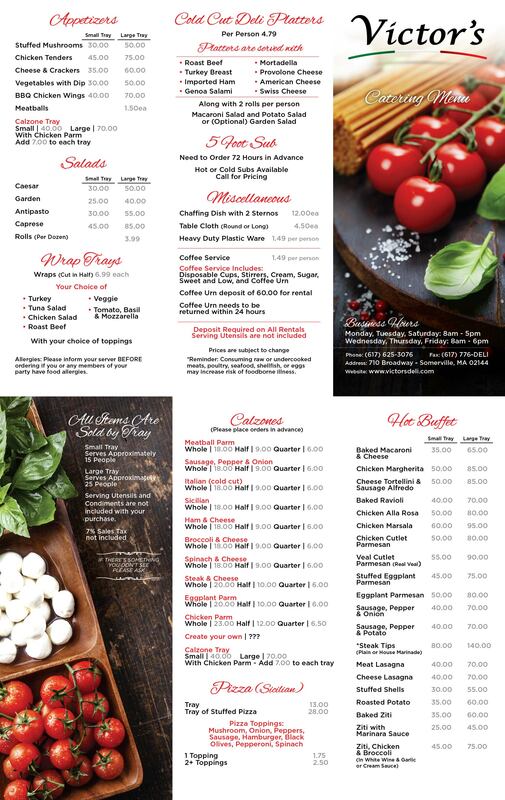 Our deli menu download provides you with all current pricing. 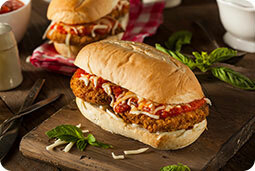 Please download our Victor's Deli catering menu. Our catering menu download provides you with all current pricing. Thank you for visiting Victor’s Deli.com. 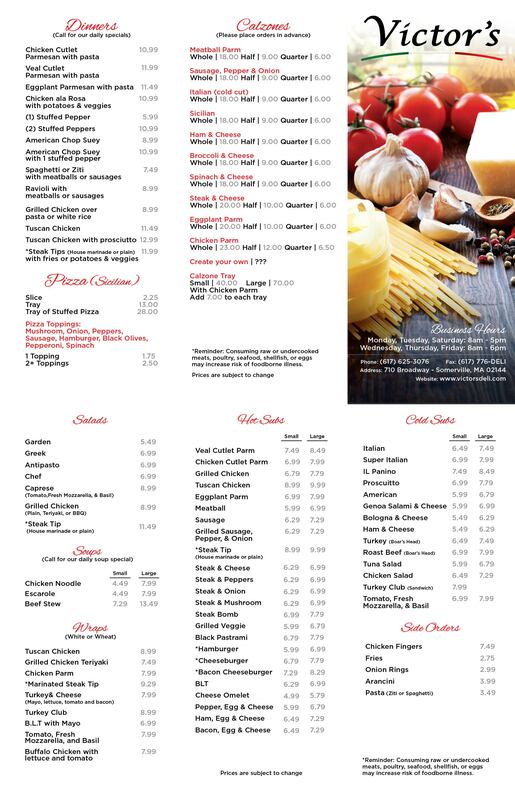 We are here to answer any questions you may have about our menus. Please reach out to us and we'll respond as soon as we can. © Victor's Deli. All rights reserved.